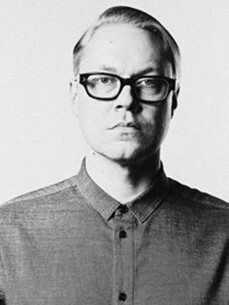 Having worked as a DJ since the early 90s, Samuli started to produce music at the start of the new millennium. He worked on the deep house project, Sam & Gigi, which featured the vocalist Laura Petris-Forsell and which yielded or a brace of singles at the start of the 00s. “Deep house has always been big in Helsinki and there are some really good DJs and producers in that field,” he feels. “Laura (Gigi) wrote the tracks with me and she wrote lyrics and sung. Our last gig was at the end of 2005. Laura was 5 months pregnant at that time. So family happened and I went back to my roots, which is techno,” Samuli explains. Kemppi believes that his decision to release on a range of labels is down to his willingness to experiment in the studio. “Some producers have many aliases, I feel more comfortable like this and I always try a lot of new things when writing tracks. It wouldn’t make sense to be just on one label since they all have their own music policies - and so much music would stay unheard if I didn't release on so many labels,” he says, adding that “being up here far away from centre of things, I need to connect on some level”. That said, there is enough activity in Helsinki to keep Samuli busy. Although the scene is relatively small and underground, he says that there are a few excellent venues with amazing sound systems and “the crowd is really good: on a good night, I wouldn't change it for anything else”. Then there’s the matter of Samuli’s Deep Space Helsinki project. Initially it was the name for his radio show on Basso Radio with old friend Juho Kusti, a station that Samuli describes as a ‘unique broadcasting project’. “There are over 100 DJs doing specialist shows, music varying from jazz and hip-hop to techno and drum’n’bass. I've been doing the show since the beginning, so that's almost ten years now. Basso started as two-week web radio project and now covers over half of the population in Finland on FM. We've come a long way,” he says. DSH is also the name Samuli and Juho give for the parties they have been throwing in Helsinki for the past few years. “Nobody was bringing over artists that we liked, so we decided to start bringing them over ourselves - the line ups define our Deep Space Helsinki sound. We want to have a good party with music that we love and give people a deeper option,” he explains. In between these activities, Samuli also balances a family life and work and continues to put out releases, remixes and possibly his debut album.